Her passion for Agile centers on the teams and individuals within them. She loves to get teams up and running and then help them continuously improve. 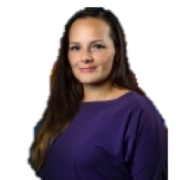 She has helped many teams at different organizations to become more Agile (ING, Rabobank, Vrije Universiteit Amsterdam, APG, Philips, VodafoneZiggo). She is also the Scrum Master of the Scrum Boosters within Xebia, helping other Scrum Masters to become better Scrum Masters. Evelien loves to give training for beginners as well as experienced Scrummers. Her training courses are filled with brain-based learning activities. In her classes she lets the learner learn instead of the teacher teach.